After an eleven hours flight and the passport controll (we had have no problems with that) we arrived in Newark. Around the airport was nothing then industrial buildings an we don’t know where to go. We did neither know Elizabeth nor Hoboken but we have met a nice Taxidriver, which told us that he drove us to the cheapest hostel in Manhatten. We trusted him and got into his Taxi (not a yellow NYC Taxi, a black Chefrollet without any Taxi signs) and he get us to the Chelsea International in the middle of Manhatten. After checking in, we walked down the sidewalk to get first Impressions of New York and the US. Our last thing to do was to drink a beer in a brown bag and then after 23 hours without sleep, we fall to sleep. 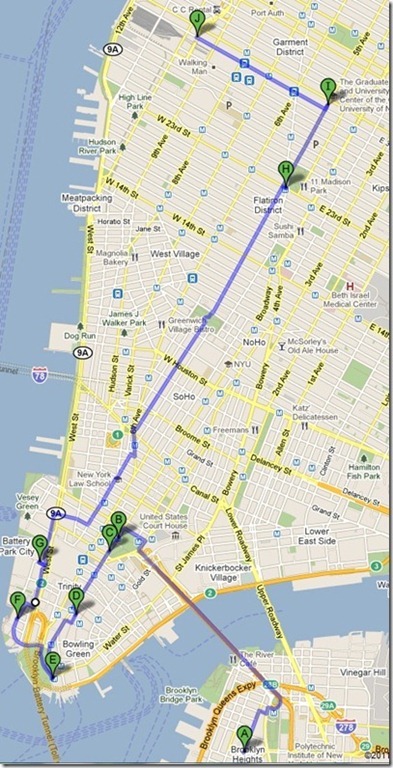 At 7pm we stayed in front of the “Empire State Building” and we had to make thoughts about what to do now. We decided to take a bus to Washington D.C. For 25$ for each of us we got the tickets to the capitol of the US.